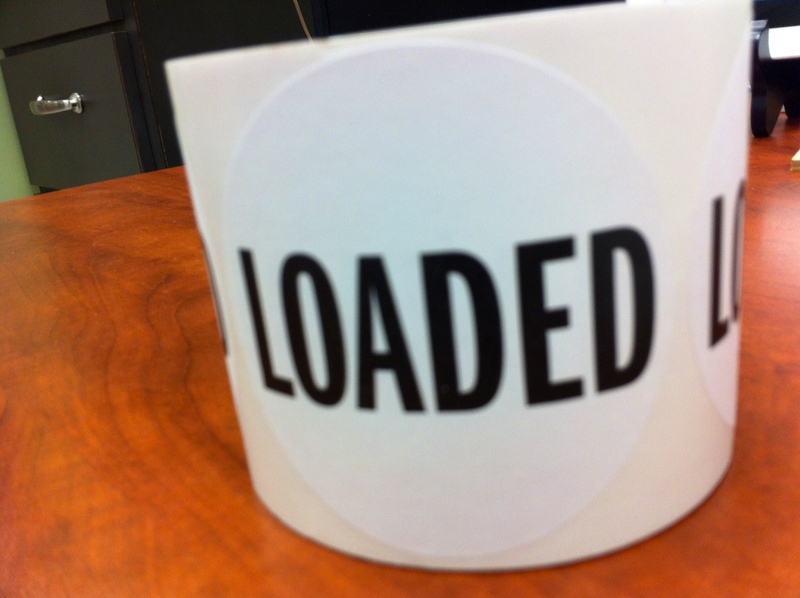 3 Inch Round White Labels Printed "LOADED"
These 3 inch White round labels come with 500 labels on a roll. Printed with the word "LOADED. Ideal for warehouse identification of goods.